I came across this clever infographic on 22 ways to create content when you don’t have a clue and I started contemplating the most successful ways to continuously write high-quality marketing content. Lead Liaison’s marketing automation services are based on constantly generating new content for a variety of businesses and industries, but occasionally even I get stuck when I am trying to come up with new ideas. The never ending demand for content makes it hard for anyone to keep up. Most digital marketing and SEO strategies revolve around the need to constantly create fresh and relevant content that informs and connects with potential consumers. Content is a business’ best chance to demonstrate their industry knowledge and educate consumers about what there business has to offer. Every article, newsletter, and webpage must be original, informative, and interesting to your target audience. This can be incredibly challenging for businesses that don’t have the time to constantly create compelling new content. Every online business is regularly posting new content, including your competitors. You can’t copy their articles word-for-word, but you can use the content they post to generate new ideas for your own company’s content. Try to focus on any vital information that is missing from your competitor’s articles or things that your company does differently. Your daily newspaper, local magazines, and television can all be great sources of new ideas. Every time you come across something relevant to your target audience, brainstorm ways to convert the concept into new content for your blog or social media networks. Content marketing specialists and marketing automation gurus have built their careers on continuously creating compelling content for a variety of difference businesses. They know how to tap into your target market, create the right reaction, and maintain a reader’s interest. If it is too difficult to constantly create new articles, hire a freelancer or a professional marketing automation business to handle the content creation on behalf of your business. Not everything you post on your blog or social media site has to be an article. It is important to request feedback from your followers to see what questions or concerns they have about your industry, products, or services. Every time you get stuck, send a tweet or update your company’s Facebook status asking your followers what they really want to know. There are some industries where it will be impossible to constantly come up with new ideas for content, especially if your business or industry hasn’t changed much over the years. You may need to repeat previous topics that haven’t recently been addressed. Make sure to come up with some new information that will enhance the existing information and to change it enough that it will pass as original copy. Continuously creating new content is not easy, but it is possible. 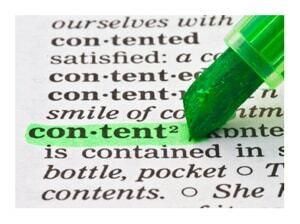 If you are struggling to keep up with the massive demand for new content, try hiring a professional content writer. It may be more cost-effective when you consider the time you spend brainstorming and writing new content, plus you will know the content is worthy of your online audience. How Often Should I Blog for My Business? Should You Be Creating Infographics For Your Company?